Many have seen the list of 27 separate converging events occurring in September and October 2015, for those that have not, they are listed in an ANP article dated August 5, 2015, titled "Convergence Of 27 Events To Happen In September And October 2015 That Show Something Big Is Coming." 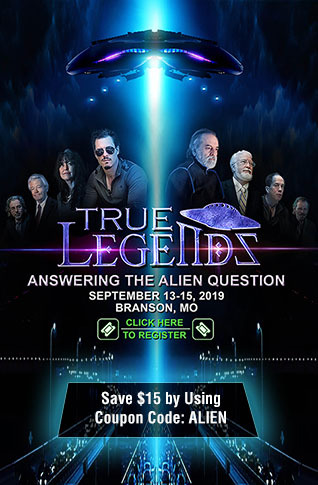 The video documentary below published on August 27, 2015 by TruthUnleashed details 5-6 of these key events, tellings us first to get out of our comfort zone because the "eyes are useless when the mind is blind." 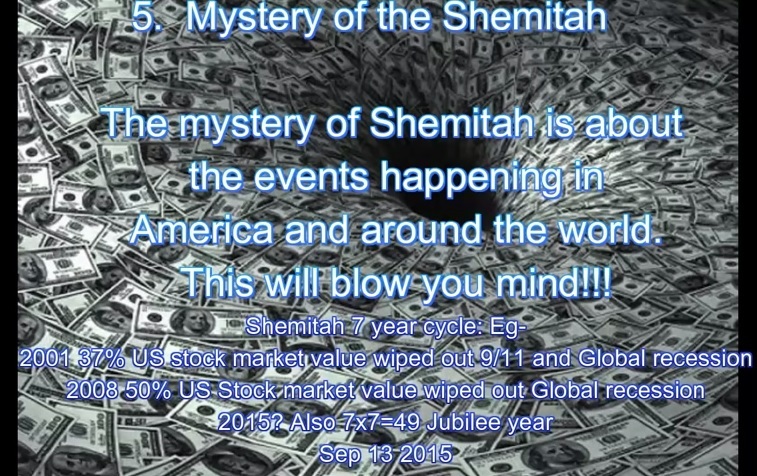 The "events" covered include CERN, the warnings from scientist of opening other dimensions and universes and to recreate the "big bang," known as the "God Partical," the scheduled U.S. Congress and the UN assembly of world leaders addresses by the Pope for the first time in history pushing the "New World Order/Religion and "International Law," Jade Helm 15, The Mystery of the Shemitah seven year cycle, the last appearance in the tetrad of "Blood Moons" expected on 9/28/15 and the ominous warning from the French Foreign Minister of "We have 500 days to avoid climate chaos," made on May 13, 2014 hightlighting the end date of September 24/25, 2015. 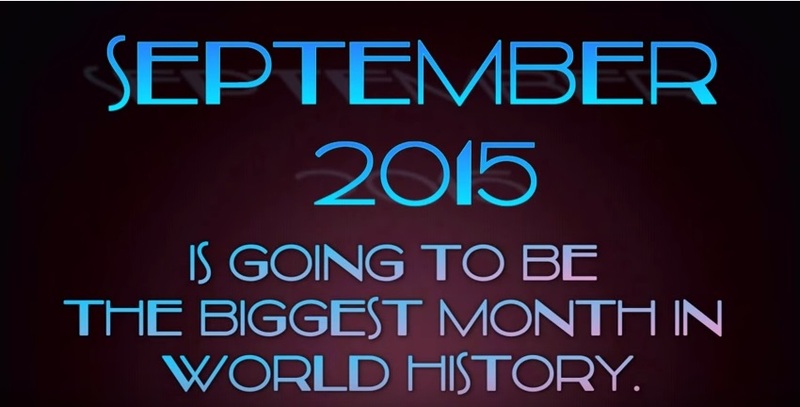 Each of these events is addressed in detail in the documentary below, leading the uploader to state in the description "Something very big is about to happen that will change the world," because September 2015 may be the biggest month in world history.